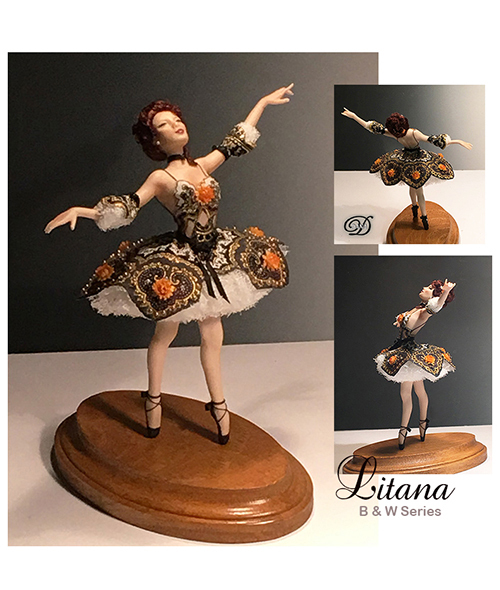 Showcasing the beauty of Black and White colors in doll dressing, this 3 doll series offers customers the chance to showcase one doll in my upcoming book ... VISUAL DOLLMAKING (gallery section). Registration closed/kits sold out. Resume sending out Ballerina kits January lst. 2 more dolls to debut .... coming end of January!